1. 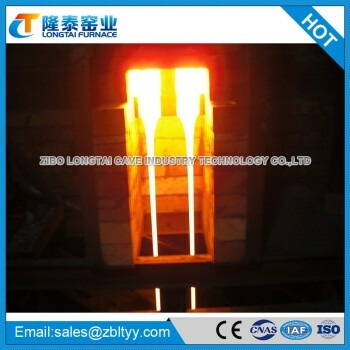 Furnace type: end fire regenerative furnace and recuperative furnace. 2. Melting capacity: 1-160 tons per 24 hours, normal melting rate: 1.0-2.0. 5. Specification: valid melting area is 1-80m2, part enhanced thermal insulation and full thermal insulation. 6. Regenerator: arranged in Siemens or octagonal cylindrical brick checker type, single or double route waste heat utilization structure. 7. Molding method: direct water quenching or double-roller extrusion before water quenching. 8. Advantages: more scientific and energy saving, more economical and efficient; small covering area, and U-shape flame will lead to high thermal efficiency; deep melting tank, high flame space, and large aspect ratio, higher melting storage, pre-combustion chamber set will lead to perfect heating performance; offset hole fluid flow mouth and a lift able flow mouth makes it more convenient and flexible to change the formula.